M. Butterfly: This modern drama is drawn from real-life events and closely parallels Puccini’s “Madame Butterfly.” Through April 19; Thursday-Saturday, 8 p.m.; Sunday, 2 p.m. City Lights Theater, 529 S. Second St., San Jose. $17-$35. 408-295-4200, cltc.org. Sing with Mission Valley Chorus: Are you a woman who loves to sing? The Mission Valley Chorus invites you sing with the group any Tuesday, 7:15-10 p.m., at Nordahl Hall, 580 W. Parr Ave., Los Gatos. missionvalley.org. Ballroom Dancing: Ballroom dancers of all ages are welcome. Mondays, 6:30 to 9 p.m. DJs and bands provide the music. Air conditioning, wood floor, light refreshments and convenient parking. $6 per person. Camden Community Center, 3369 Union Ave., San Jose. 408-559-6209. Cut-A-Thon for Shea Shaw: Get a haircut at this fundraiser for Los Gatos High School student Shea Shaw, victim of a hit-and-run who has a traumatic brain injury, May 20, 10 a.m.-2 p.m, Women’s haircuts are $40, men’s and children’s haircuts are $20, Proceeds will be used to purchase a special therapeutic chair to assist Shea, KRUSH Hair Salon, 106 Royce Ave., Los Gatos, 408.354.4489, www.krushsalon.com, Wine & Cheese Pairing: Featuring Fortino Winery, paired with an artisan selection of cheeses from Fromage and Specialities, Event sponsor SignatureWines.com will have various ballet dancer laser cut christmas ornament chr115 wine surprises for guests at this wine tasting social, May 21, 5:30-7:30 p.m, Fromage and Specialties, 33 E, Main St, Los Gatos, $17.50 advance tickets only, No tickets sold at the door, www.eventbrite.com/event/3513596261..
For the 23rd year, St. Joseph’s Cathedral in San Jose will host the “Season of Hope,” 12 days of free concerts and dance performances Dec. 12-23. Each night features a different group in concert from 7:30 to 8:30 p.m. in the magnificent cathedral building, which opened in 1877 and was fully restored in the late 1980s. The arts and community groups — many are returning favorites — donate their time. Concerts are free, but contributions to support the church’s food, shelter, medical care and job search programs are welcome. 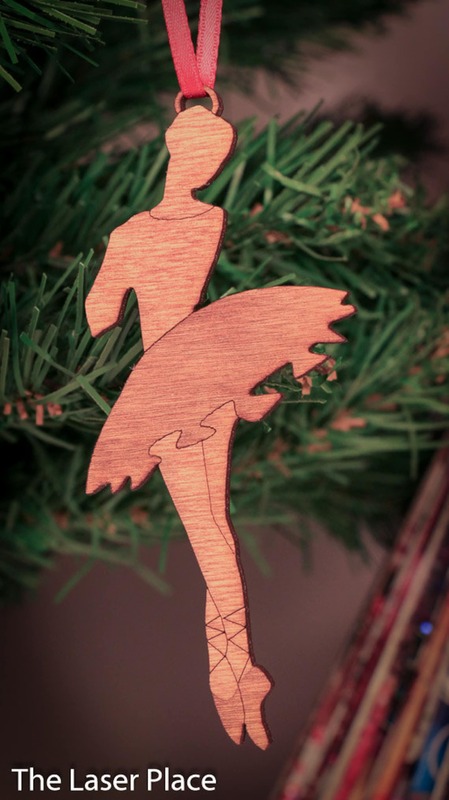 Palo Alto ballet dancer laser cut christmas ornament chr115 Humane Society: Daisy Day Gala, 2-5 p.m, Oct, 22, Raises money to help sick and injured animals in the greater Palo Alto/mid-Peninsula area, Live music by guitarist Em K, auction, raffle, and vegetarian food, Vina Enoteca, Stanford Barn, 700 Welch Road, Suite 110, Palo Alto, $100, http://www.paloaltohumane.org or http://bit.ly/daisyday, TheatreWorks Silicon Valley: “TheatreWorks Around the World.” 6 p.m, Nov, 4, Food, wine, original show, benefit auction, Proceeds benefit TheatreWorks, Sharon Heights Golf and Country Club, 2900 Sand Hill Road, Menlo Park, $385 if purchased by Sept, 30; $430 thereafter; sponsorships start at $4,300, 650-463-7112, events@theatreworks.org, Information at theatreworks.org..